GPS Co-ordinates on LCD: Global Positioning System. 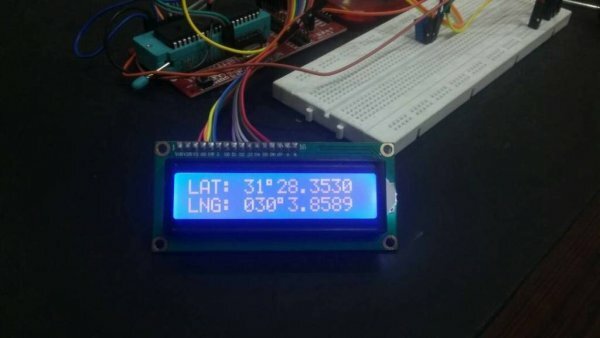 This project is about displaying GPS co-ordinates on LCD using pic microcontroller. I have already posted a project on GPS based clock using pic microcontroller. GPS is network of satellites used to send and receive accurate details about the position of anybody in the form of longitude and latitude. This process of sending and receiving positional data is done by some means of GPS modules or receiver. In our case Holux M-89 GPS module.GPS coordinates are most contains latitude and longitude. This system divides the earth into latitude lines, which indicate how far north or south of the equator a location is, and longitude lines, which indicate how far east or west of the prime meridian a location is. GPS module interfacing is done with pic microcontroller. For example the coordinates of New York Time square are 40.7589° N, 73.9851° W. The first number is used to represent latitude and second one is used to represent longitude.In this tutorial you will learn how a GPS module receives coordinates in the form of latitude and longitude from a satellite. First of all a GPS receiver locate any three or more of satellites, calculate the distanc­e to each, and use this information to generate its own location. This operation is based on a simple mathematical principle called Trilateration. The satellite which we used in our project is $GPGGA has a specified purpose which is Global Positioning System Fix Data. PIC 16F877a: If you are an electronic hobbyist then you are familiar with microcontrollers. This MCU is easy-to-program. It is 8-bit microcontroller architecture into an 40 pins package. 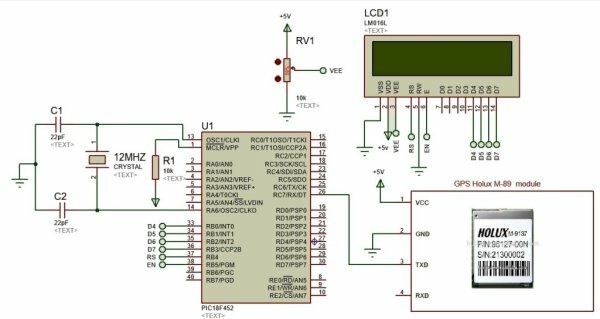 The PIC16F887 contains 256 bytes of EEPROM data memory, 2 Comparators, 14 channels of 10-bit Analog-to-Digital converter and much more in single chip. Holux M-89 GPS module: This module is small in size, consume less power and highly efficient and user friendly. It is easy to use in ant project. LCD Module: It is used to display the alpha-numeric characters. In our project it is used to display longitude and latitude. Miscellaneous: Breadboard, Pickit and some jumper wires. Location – such as location of a car or a aircraft. Navigation – from one location to another. Tracking – monitoring anything it may be person used by militaries. Mapping – provides maps of the world. 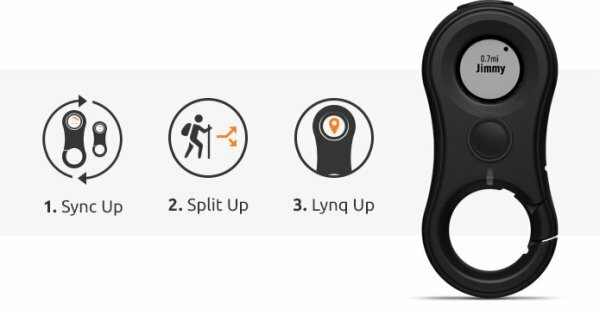 Timing – give precise timing anywhere in the world. Security– such as monitoring a car and sending its data to server and feedback to the owner. GPS receivers receive signals from satellites and detect the vehicle’s location. Direction sensor is used to detect the vehicle’s direction. Map database is display using the car navigation system’s control circuitry.